Arson was a fine Animalier sculptor but his work is not as well known as his peers. 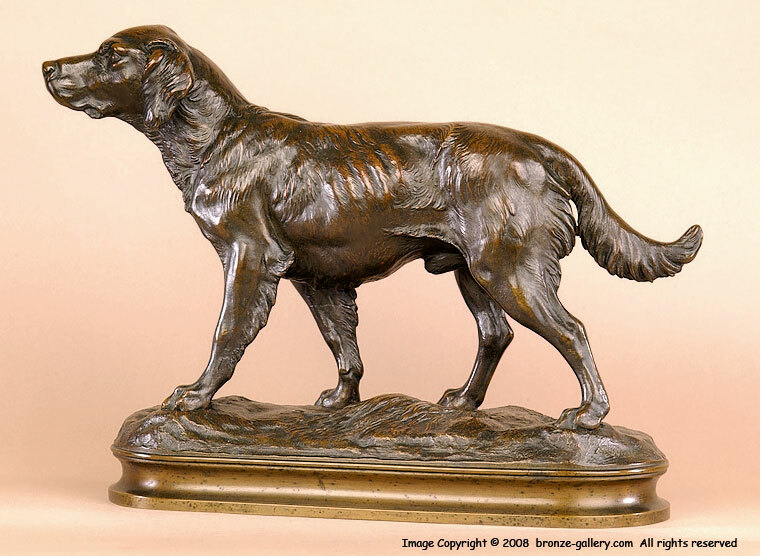 He created many small and amusing groups of humanized mice and frogs, but this large bronze of a Retriever dog shows fine portrait of a hunting dog. This bronze is a sharp cast in an impressive large size, it captures the character of a favorite hunting dog. There are no existing records to show the exact breed of dog nor what his name was but he is a superb quality bronze measuring 16" long. 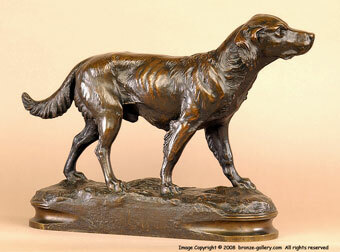 Most of Arson's bronzes are small and this is a large model that is rarely offered for sale.